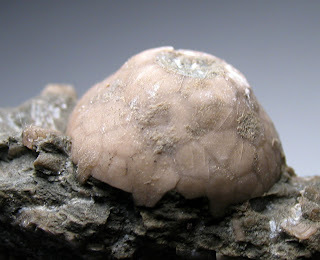 An Eucalyptocrinites crinoid calyx cup found in the Waldron Shale of Clark County, Indiana. 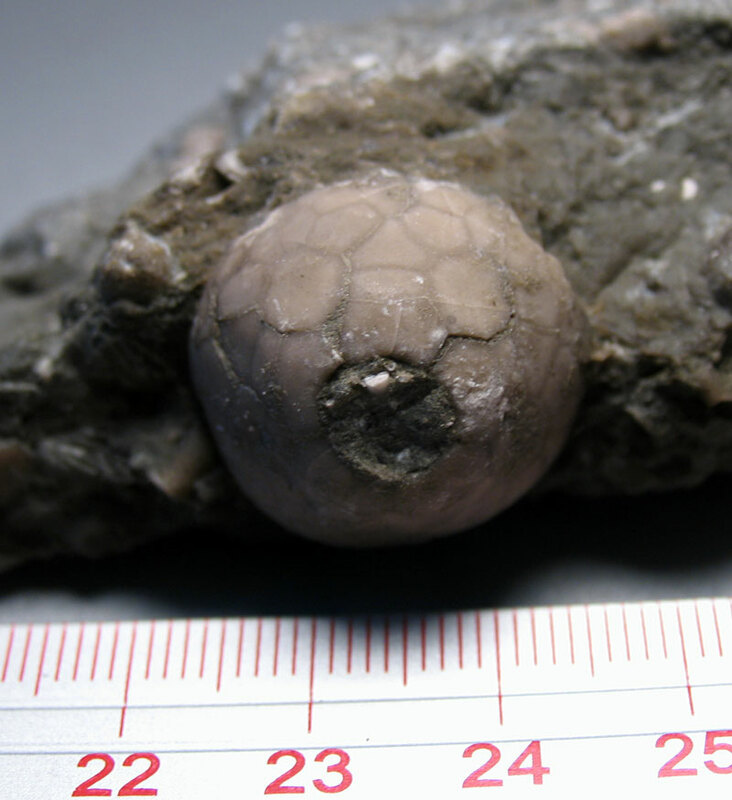 My first mostly intact Silurian Period crinoid calyx. 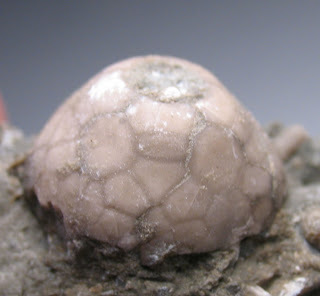 I am as happy as a crinoid in sea urchin free waters! Fossil has not yet been prepped. 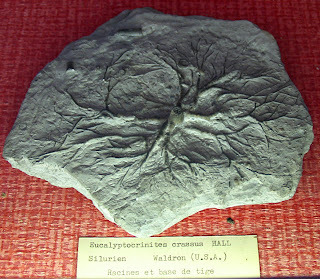 Eucalyptocrinites crassus crinoid holdfast fossil on display in Paris, France at the natural history museum. A great source for information about Waldron Shale fossils is the Indiana State Museum database. 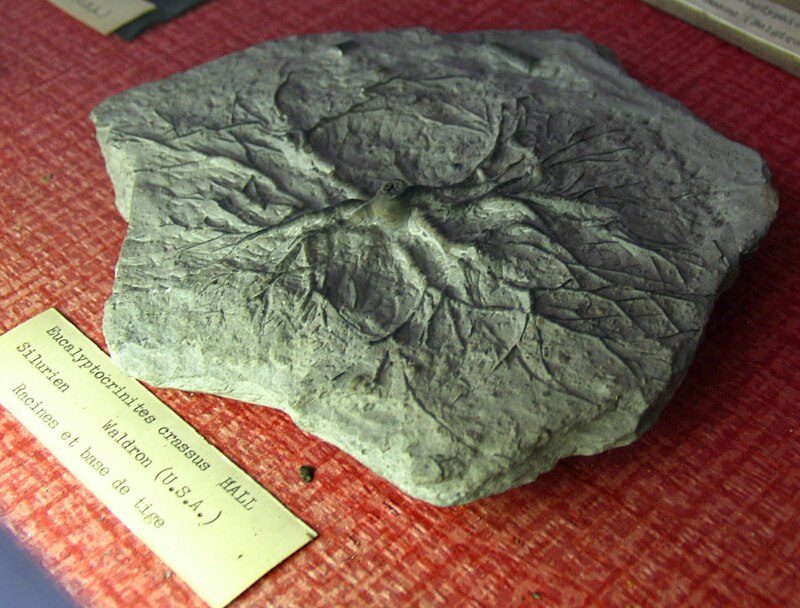 As of this writing, they had 134 Waldron Shale fossils listed. It is a super public service to those of us trying to identify Waldron Shale fossils from Indiana.